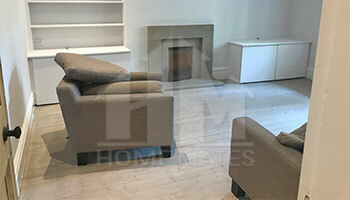 Choose reliable and guaranteed end of tenancy cleaning service in Acton, W3 with HomeMates. Give us a call now and get an instant free quotation! Welcome to our company, which has been occupied with end of tenancy cleaning for the past several years. We’re a team of hard-working cleaners who are at your disposal every single day of the week, including holidays. Our company is located in Acton, W3, which is where we can deliver our sessions. Our guarantee is provided for 48 hours after the service has been conducted. If you don’t approve of the way we did our job, if you still see dust or dirt somewhere, please give us a call and we’ll investigate the matter. If after re-inspection of the premises we find out that there is indeed something left to clean, we will re-clean your property in Acton free of charge. You money will be well-spent and you will get what you’ve been hoping for all along – your deposit. There are three basic steps that every cleaner performs upon arriving at the premises: preparation, cleaning and inspection. No matter which team we dispatch to your rented property, they will always follow these steps. What is preparation about? Before the real cleaning begins, our technicians need to examine the premises they are about to clean. They may talk to the owner/tenants to discuss what needs to be done. After that they check the stains and grime to determine what products they should best use. This should take several minutes or so. Then they proceed to step 2. The process may take five or six, even seven hours, depending on many factors. Remember that this is not an ordinary cleaning service. It is more detailed, that’s why it takes a little more time. But the good news is our technicians will be done by the end of the day. The cleaning involves some of the best equipment in this field, which is specially manufactured for this purpose. Note that you don’t need to provide any cleaning materials when it comes to end of tenancy cleaning; we take care of it all. During the process our maids will look carefully at every corner and cranny. Those areas behind furniture will be cleaned as well. Any cobweb or speck of dust will be removed. We focus on the details. Small or hard-to-reach places will be attended to as well.